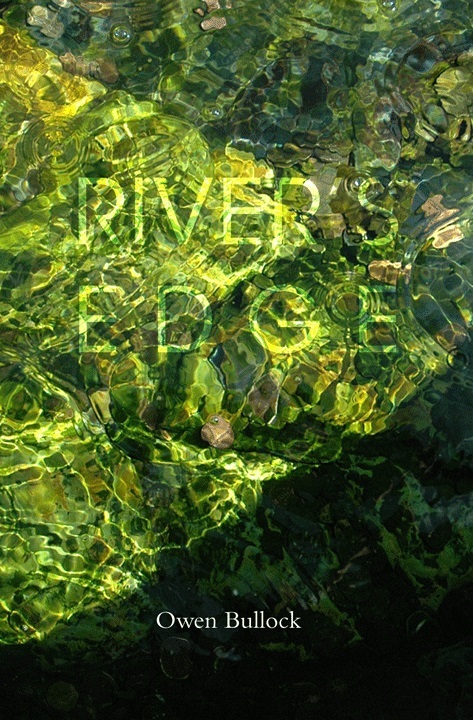 River’s Edge by Owen Bullock (Recent Work Press, Australia, 2016). A new, slim volume of work from Owen Bullock who is rapidly becoming a citizen of the world – born and raised in Cornwall (UK), has lived for decades in the upper North Island of New Zealand and is currently a PhD candidate in Canberra (Australia). Bullock is finely tuned to the daily struggles, humilities and joys of the end stage of life and these senryu are touching, without being in the least sentimental or demeaning to either party, and I heartily recommend the book on the strength of these poems alone. Caregiving must throw up many moments where both the giver and receiver need to grin and bear it (or bare it) and Bullock’s sense of humour doesn’t fail him. However, knowing Bullock, I expect this ‘leave and return’ is an intended subtlety, a reflection of the messiness of life where our interests – and the calls on our time – are many and varied. This happens, then that and now we go back to this. After a week of caregiving he has mental space to observe nature, carry out a few chores, then it’s back to work. Seen as a journal of a period from Bullock’s life River’s Edge becomes a more cohesive whole and, to my mind, a more satisfying read. The author however, offers no nudges in this direction in his introduction (so I may be quite wrong). The book, which uses good-quality paper, features one poem per page, giving the words of each poem plenty of space to interact, both with each other and within the reader’s mind. The collection is dedicated to his brother Brian, who died in 2013, and Martin Lucas, long-time editor of Presence haiku journal, who died in 2014. There is also a senryu dedicated to Christchurch poet John O’Connor, who died in 2015. I hope Bullock will delve further into his caregiving work and consider a complete themed collection on the subject, perhaps including haibun, another form for which he’s known. It would be an unusual – and I suspect valuable – collection, especially given Bullock’s eye for detail, his calm observation and clear humanity towards the people for whom he was caring. Through his words they have been given a voice and it’s one I suspect they’d rather like. Footnote 1: I can’t be bothered distinguishing too much between senryu and haiku, but when I do try I realise that my definition of haiku is broad and takes in many pieces that others label senryu. To me, the fact that a piece is about a human being doesn’t make it a senryu, because we are also nature. It’s only a senryu when the poem gets into the mind of an individual and directly reflects human perception. Footnote 2: I’m afraid I don’t and haven’t for a long time seen seasonality as essential to haiku. Partly this was because of my being from Cornwall and then moving to New Zealand, where I began writing haiku. Living in New Zealand, it took me many years to be able to consciously distinguish between seasons enough for that to be reflected in my writing – there simply weren’t seasons in New Zealand, it was basically mostly summer, and I still don’t countenance the idea of winter there (only when I lived in Southland and the pipes froze every day could I perceive winter). It is with sadness that I write about the passing of my friend John O’Connor of Christchurch, a leading figure in haiku in New Zealand. Read something of his life and about his work here. John was an extraordinarily able poet and his appreciation of my work meant a great deal to me … although I was able to tease him after his judge’s report for last year’s NZPS Haiku Contest. In it, he wrote: “To go further [with your haiku] have a look at the Poetry Society’s website – it has plenty of excellent advice put together by Sandra Simpson, one of our leading haiku poets” … but he omitted to choose one of my haiku for the (lengthy) prizelist! We decided we were both red-faced, as he genuinely thought there was something by me among his choices. It was always good hearing him laugh. unable to see who passed. In our last phone call just a few days before he died, we did plenty of laughing. I will miss his friendship and his kindness but, above all, I will miss the poems he had still to write.